Just pay $50,000 down payment. Owner will finance the balance. Use price reduction for marketing budget to accelerate revenue stream. Sunpax? enter the exciting and highly profitable premium/incentive market with a proven line of products. 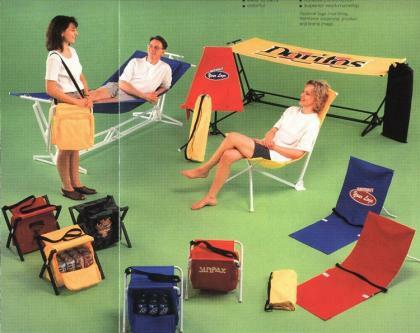 Sunpax products are a unique line of portable leisure products including hammocks, cooler/seats, lounge chairs and sand chairs. The family product line lends itself well to expanding the line with new complimentary items. Sunpax products will provide you with the opportunity to make a lot of money in the fast -paced and exciting premium/incentive market. Company can be moved to any location very easily. Opportunity to produce immediate revenue exists. Buying the sunpax business will qualify for canadian entrepreneur immigration programs if a person meets all other immigration requirements.